This is the rebounding course you've been searching for. 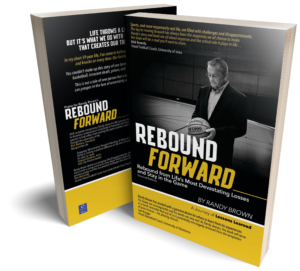 My 35 years as a college Division I coach, as well as a high school coach and skill development teacher, have prepared me to help you become a master rebounding coach. Twelve of my players were NBA players including Steve Kerr, the Golden State Warrior head coach. Becoming a college basketball coach is possible for students that learn the skills needed to make it happen. In this course, the content is easy to follow and execute. The main skills you will learn include building a coaching network, separating yourself from others, finding open job opportunities, interviewing, and goal setting. The course also describes the number of jobs available in the country at all different levels and sizes and the variety of positions available. This course will allow you to score more points by using effective offensive set plays. The course includes a descriptions of offense, ways to score baskets, half court offensive schemes, and well-designed set plays. You will learn the difference between set plays and an offense, as well as the advantages and disadvantages of using set plays. By taking this course you will be able to design your own plays, learn how to teach them to your team, and determine which play will work best for each situation. You will be able to match a play to each of your players giving them confidence and opportunities to score more points.